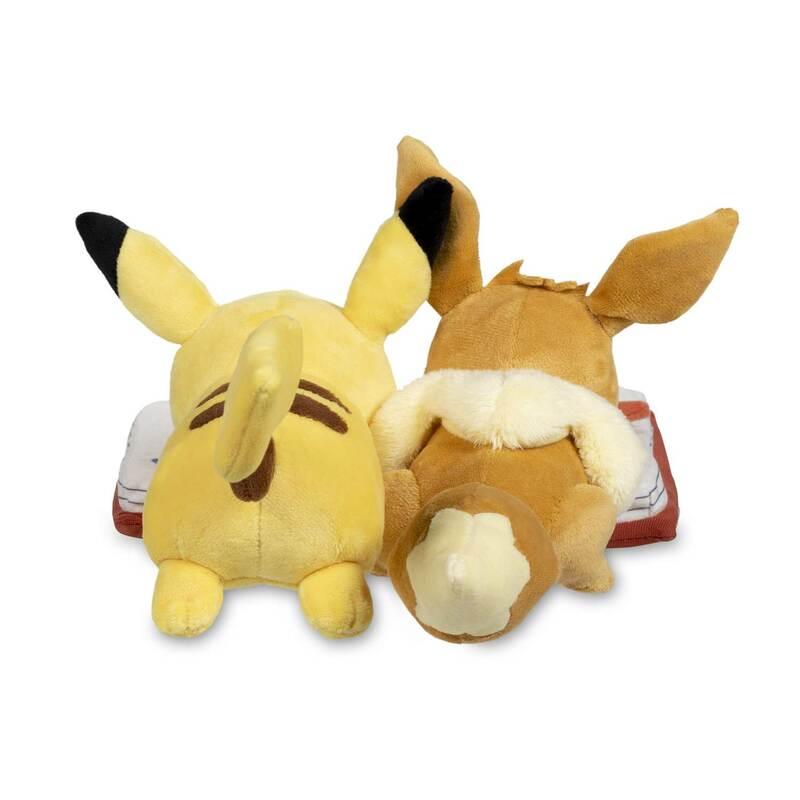 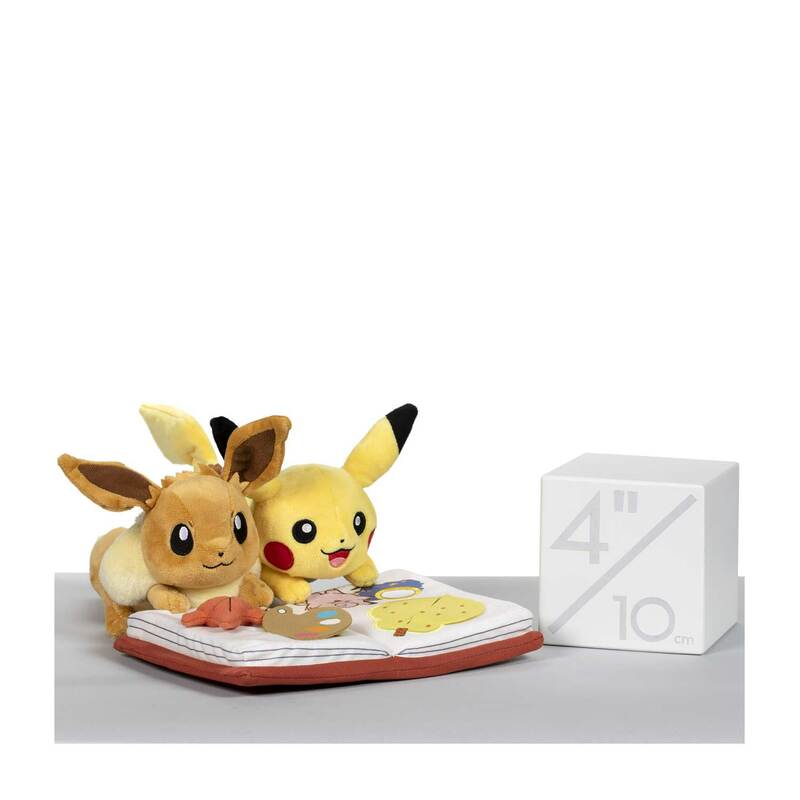 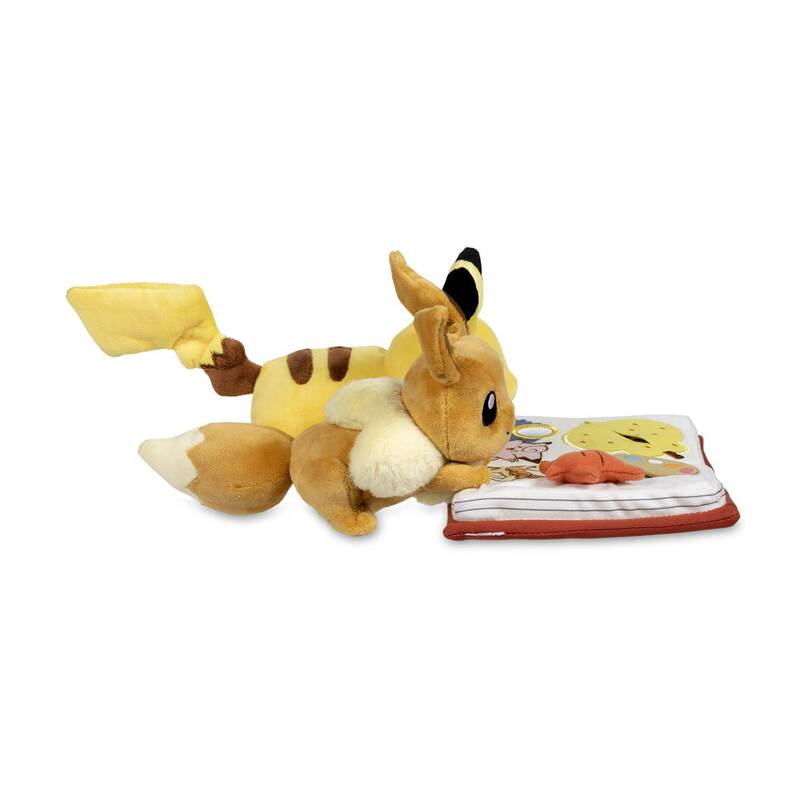 Seasonal Celebrations: Pikachu & Eevee Discovery Days Plush - 12 In. 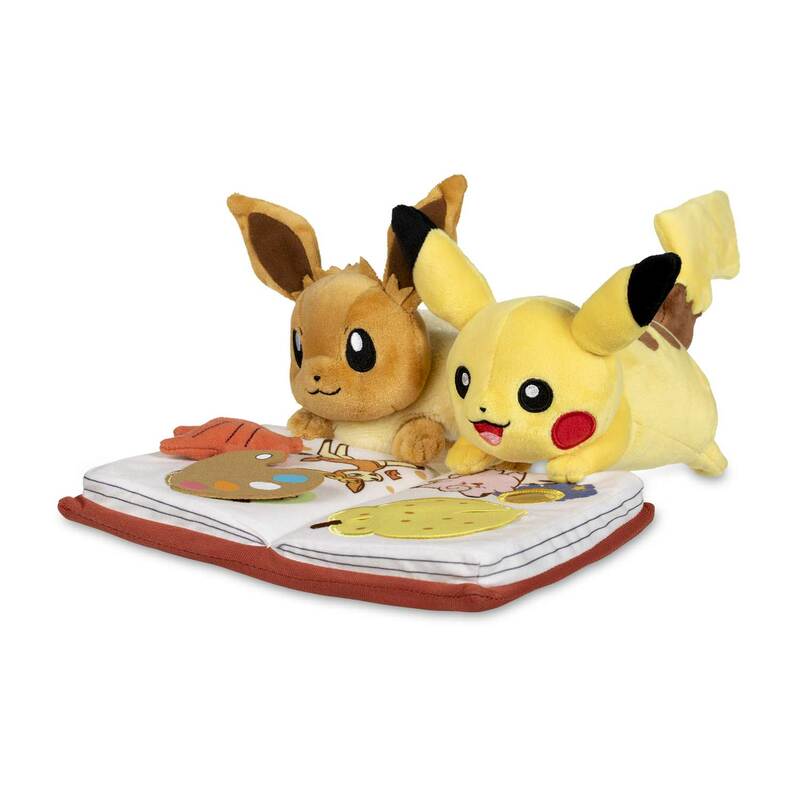 Pikachu and Eevee have a thirst for knowledge—and they're nose-deep in a wonderful picture book! 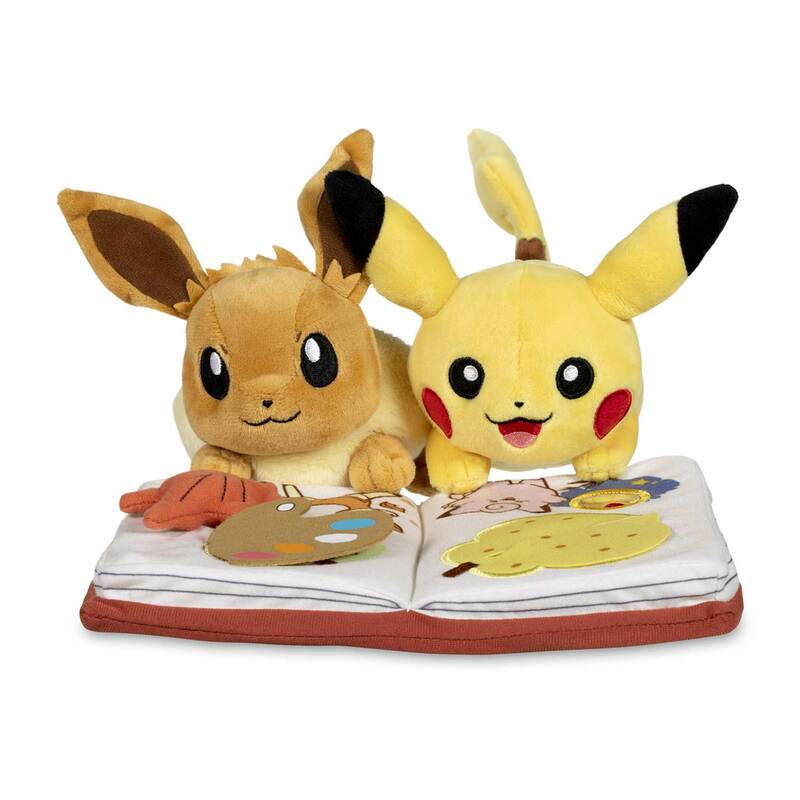 You can help this pair of friends share the joy of learning by exploring the tactile elements of this fun book, or display the plush on a shelf with your own book collection! 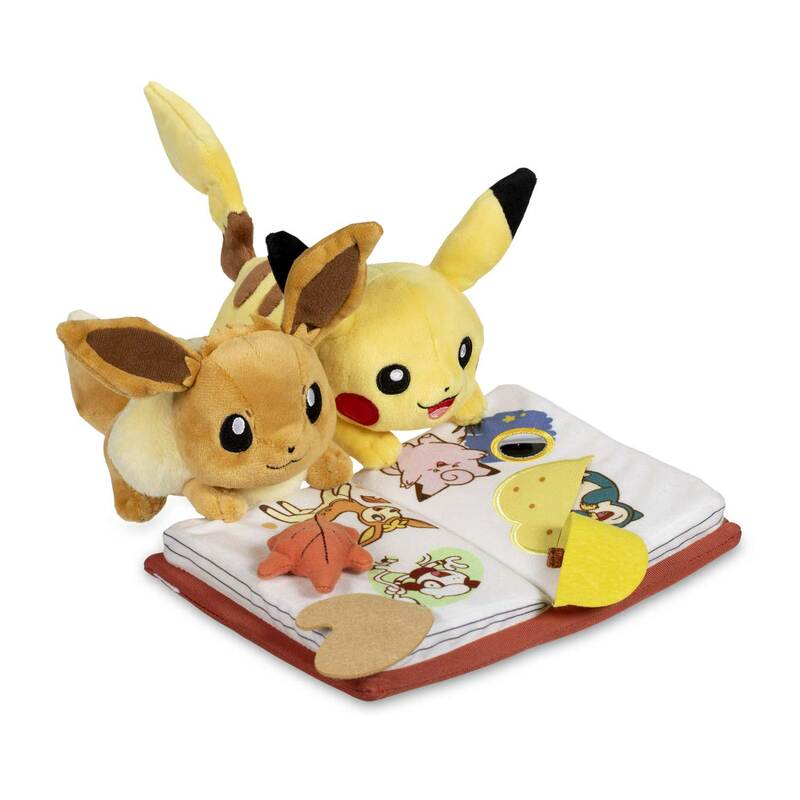 Book features a mirrored accent and a Pokémon image hidden under a flap!